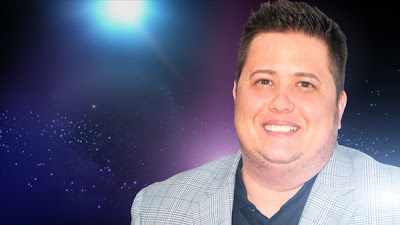 Chaz Bono Archives - Joe.My.God. Many more clips from the event are here. 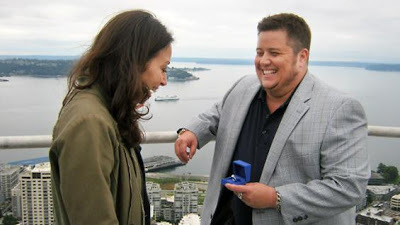 Video and photos by Father Tony. 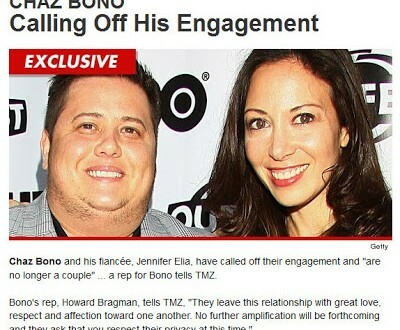 Hollywood Reporter has the story. 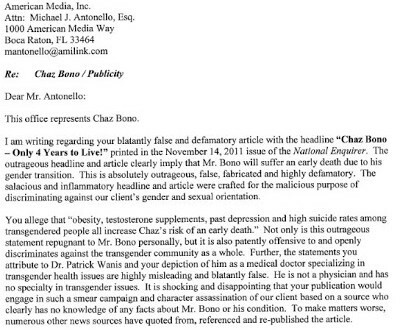 Celebrity PR guru Howard Bragman emailed us a copy of the above demand that the National Enquirer stop lying about the health of Chaz Bono. I’ll admit I’m quite surprised he lasted so long. 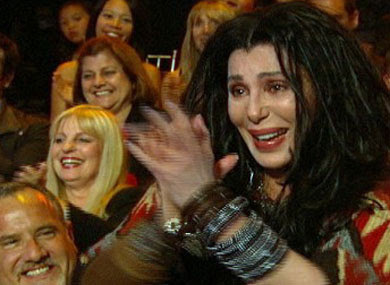 Chaz survives, Cher celebrates, and the audience boos the elimination of Carson Kressley. A shocker to everybody, especially Chaz. After the results were revealed, Cher tweeted that she’ll be in the audience at next week’s show. Now saddled with a painful knee injury, this may be as far as Chaz will go. 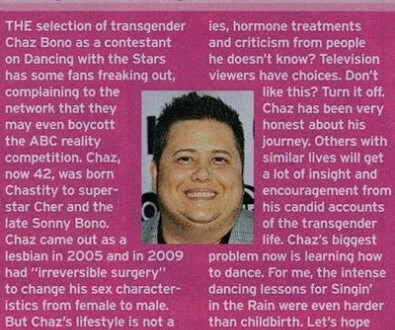 Boy Culture points us to the above blurb from the tabloid The Globe, in which Debbie Reynolds expresses support for Chaz Bono. 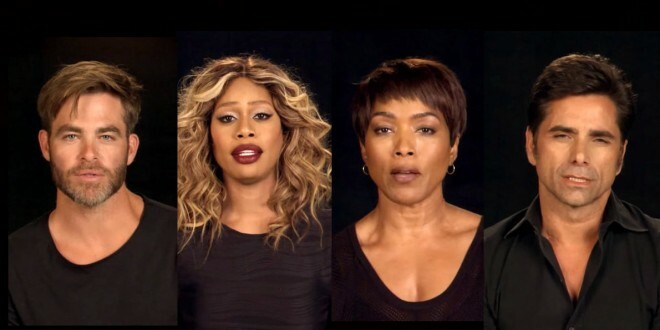 Bryan Fischer: Help! I’m Being Oppressed!